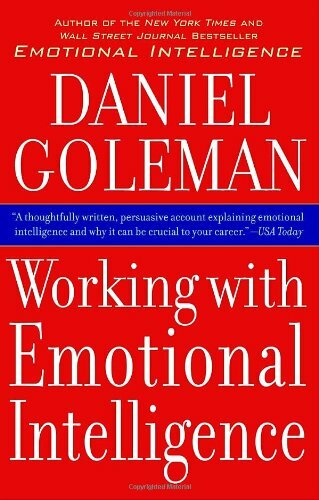 Working With Emotional Intelligence takes the concepts from Daniel Goleman’s bestseller, Emotional Intelligence, into the workplace. Business leaders and outstanding performers are not defined by their IQs or even their job skills, but by their “emotional intelligence”: a set of competencies that distinguishes how people manage feelings, interact, and communicate. Analyses done by dozens of experts in 500 corporations, government agencies, and nonprofit organizations worldwide conclude that emotional intelligence is the barometer of excellence on virtually any job. 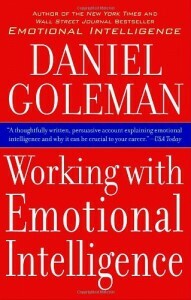 This book explains what emotional intelligence is and why it counts more than IQ or expertise for excelling on the job. It details 12 personal competencies based on self-mastery (such as accurate self-assessment, self-control, initiative, and optimism) and 13 key relationship skills (such as service orientation, developing others, conflict management, and building bonds). Goleman includes many examples and anecdotes–from Fortune 500 companies to a nonprofit preschool–that show how these competencies lead to or thwart success.